Out of breath, the last 3 passengers arrive at the airplane. 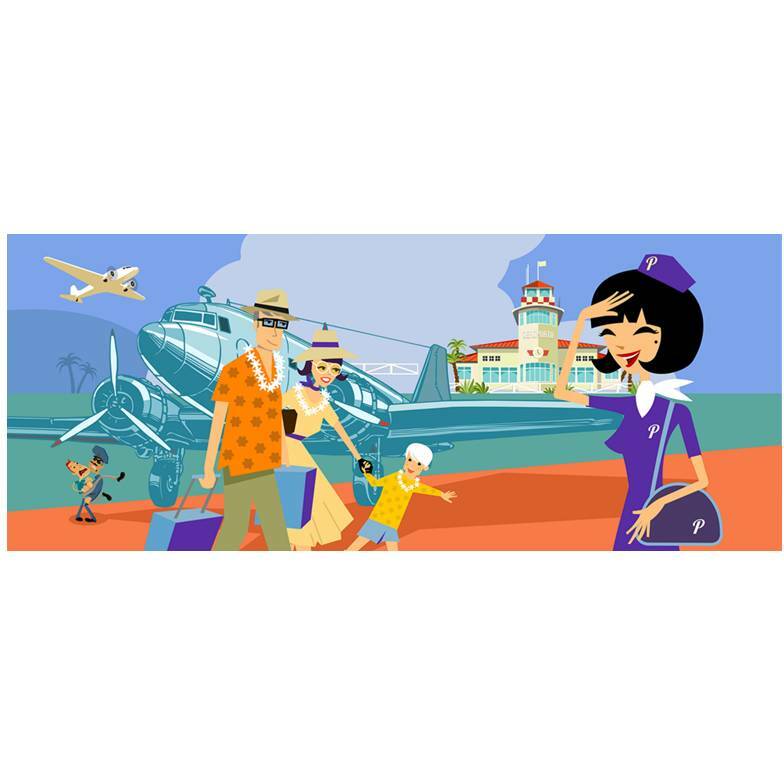 Not long ago a group of passengers were taken by the customs officers from the airplane, as their passports were not alright... Passaportas brings you back to the 1950s, to an era when an airplane trip was still an exceptional adventure. Unknown horizons were awaiting, but nothing was certain. Will there be enough place on the airplane? Will we be able to reach our final destination? Does everyone carry the right travel documents? 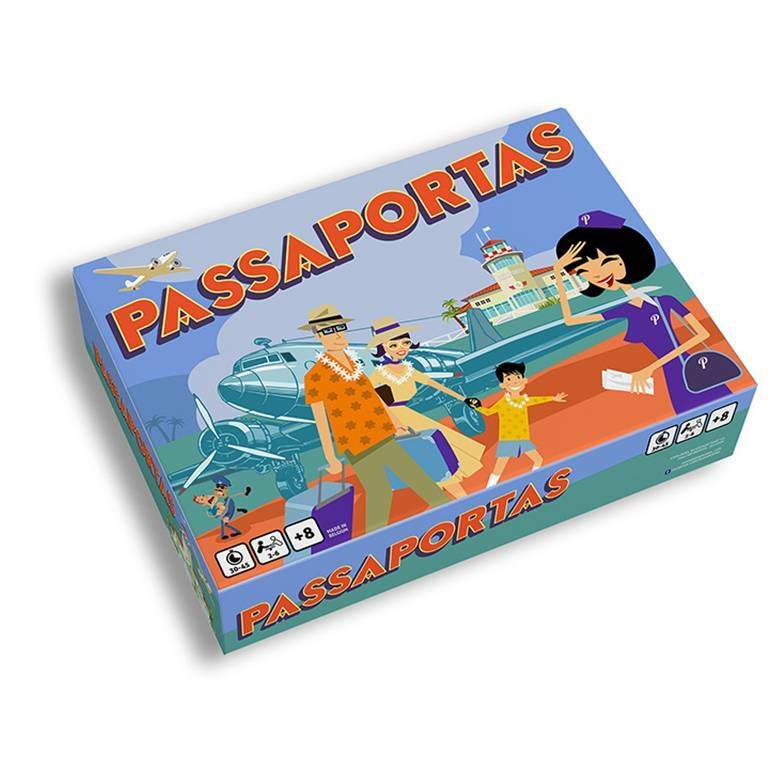 Passaportas has everything you expect from a great game! 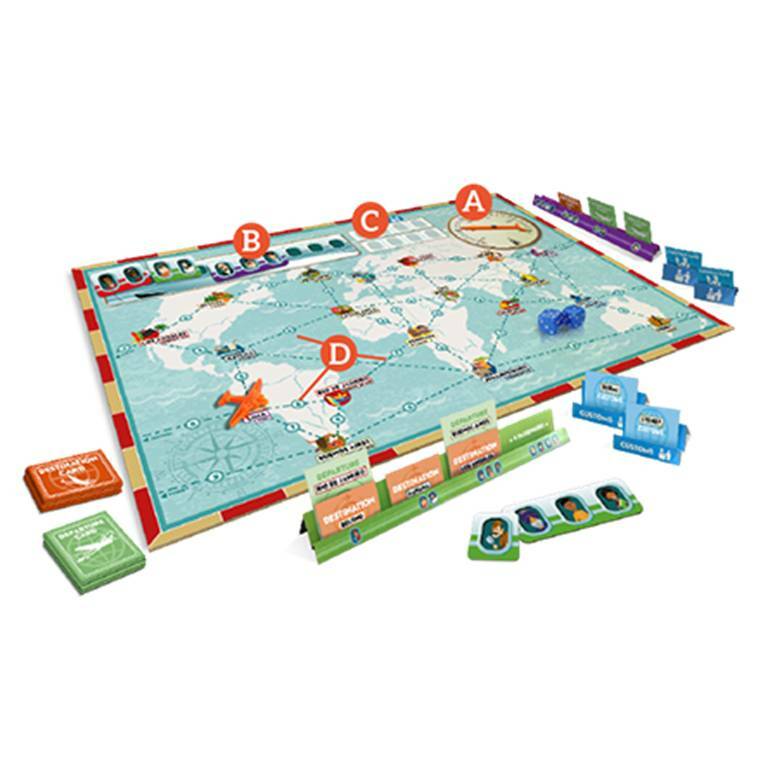 Real fun for 2 to 6 players, ages 8 to 80 - exciting to the end, full of interactions and teases, with a play time of 30min up to 1 hour. As a travel agent, you are tasked with taking 4 groups of passengers all around the world, until each of them reaches their final destination. The problem is that there are only 10 seats aboard each airplane and that customs may perform a spot check. You also need to make sure that your aircraft carries sufficient fuel to reach the next airport. Fun assured!